Trail: San Gabriel Peak Trailhead to San Gabriel Peak to Eaton Saddle Trailhead. Note: shuttle required between trailheads. 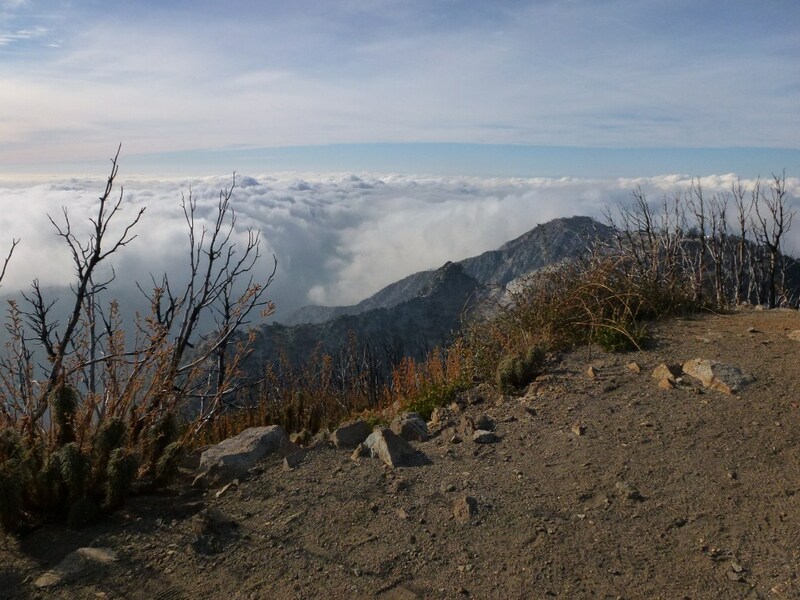 Stats: From San Gabriel Peak trailhead to peak: 1.8 miles, 1,411′ gain; from peak to Eaton Saddle trailhead: 1.6 miles 1071′ loss; trailhead to trailhead trip: 3.4 miles, 1,411′ gain, 1071′ loss. San Gabriel Peak track map from March 2015 using Backcountry Navigator (US Forest Service-2013 map) from my phone. Alternate: Reverse direction starting at Eaton Saddle: 3.4 miles, 1071′ gain, 1,411′ loss. Route description with trail segment pages: From the trailhead, take the Lower San Gabriel Peak Trail to the junction with Mt. Disappointment Road. Proceed up Mt. Disappointment Road to the Saddle between Mt. Disappointment and San Gabriel Peak. At the saddle, turn east (left) and proceed a short distance, go down the trail leading off Mt. 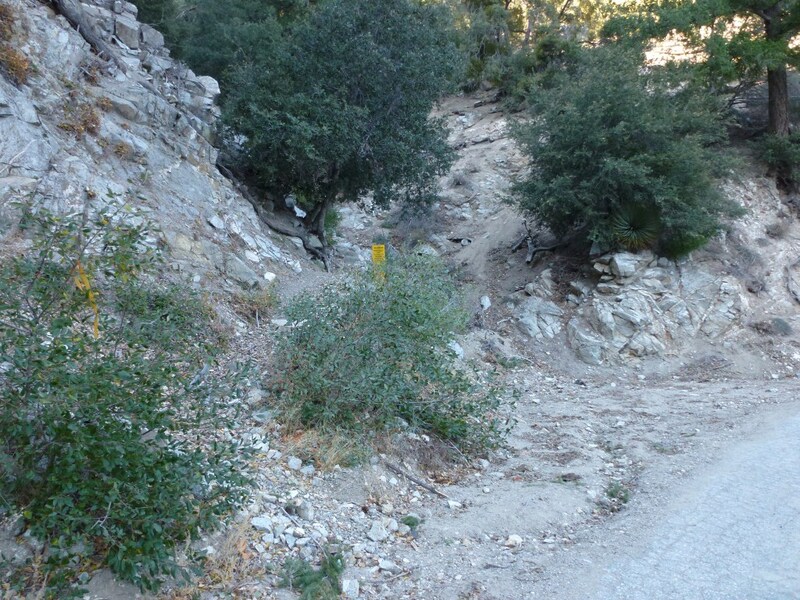 Disappointment Road, and continue up past the junction with the South San Gabriel Peak Trail. Continue up the Upper San Gabriel Peak Trail to the peak. From the peak, return to the JCT with the South San Gabriel Trail. Take the South San Gabriel Peak Trail to Markham Saddle. Then take Markham Saddle through Mueller Tunnel to Eaton Saddle.